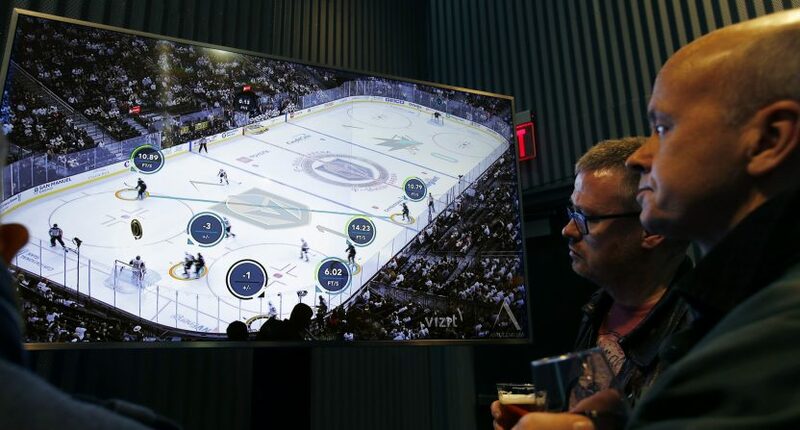 After internal testing, NBC is planning to launch a broadcast feed that will have real-time puck and player tracking during this Saturday’s NHL All-Star Game. According to the Associated Press, the broadcast will be digital-only, so those wishing to view a traditional broadcast on NBC won’t need to worry. But this is a live test, and if all goes well, this could be a thing more often next season (and maybe even during the playoffs this season). This is going to be more elaborate than the “glowing puck” of the 90s. In a more elaborate and advanced technological setup, each player (and puck) will be fitted with a microchip to track things like shot speed, time of possession, and ice time for each player out there. And yes, the puck will have a small trail behind it so it’s easier to track, which actually might have a benefit since people will most likely view this on smaller screens. NBC is deliberately taking this slowly. Private tests have occurred in order to improve the product, and the All-Star Game is a perfect opportunity to debut this the public. It’s an exhibition game, and given it’s 3-on-3, there may be fewer on-screen graphics and that could lower the risk of overwhelming viewers. Overwhelming viewers was what doomed Fox’s glowing puck. It wasn’t the worst idea in sports media but it was a jarring transition for a time that wasn’t as tech savvy as in 2019. In some ways, it was ahead of its time and would’ve been perceived differently if it was introduced later. In this iteration, the main broadcast is still a regular feed without additional graphics, so people will have the option if they want more bells and whistles. As Kenny Albert (who was a part of the glowing puck times of Fox’s NHL era) explains, it’s a new generation who wants that second screen experience and desires access to as much information as possible. If all goes well, expect to see this happen more often next season.